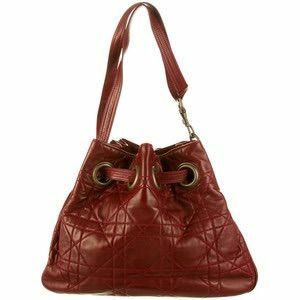 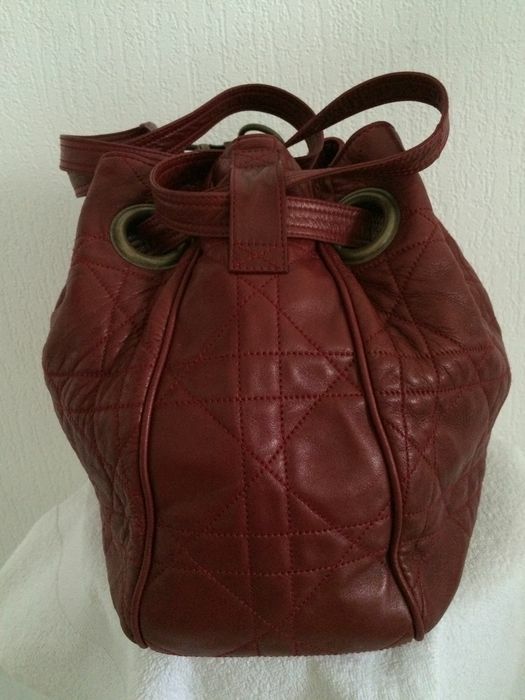 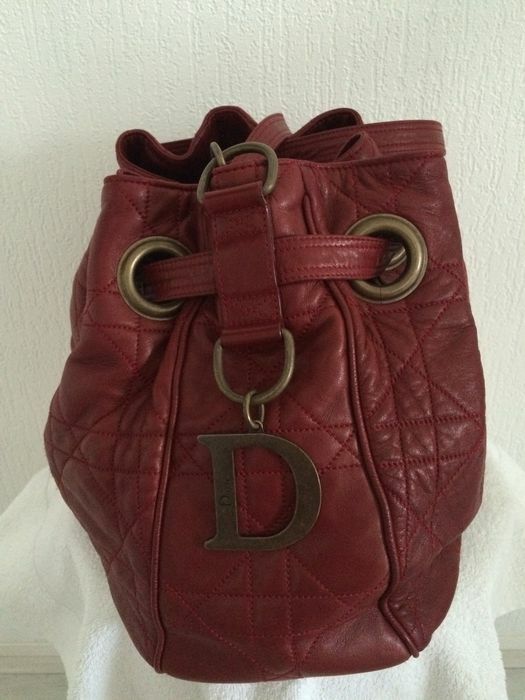 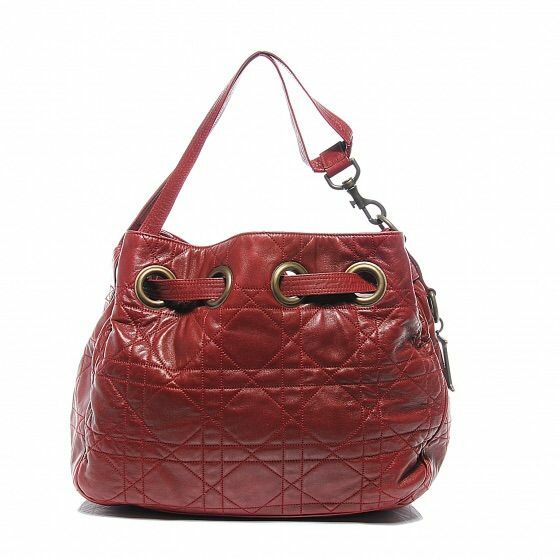 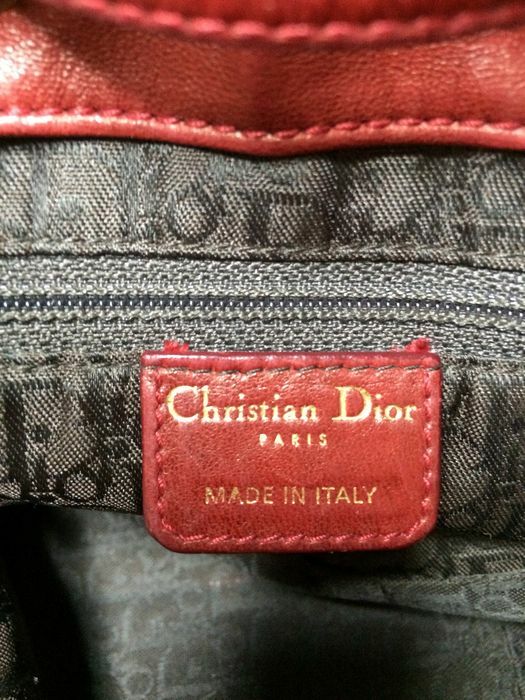 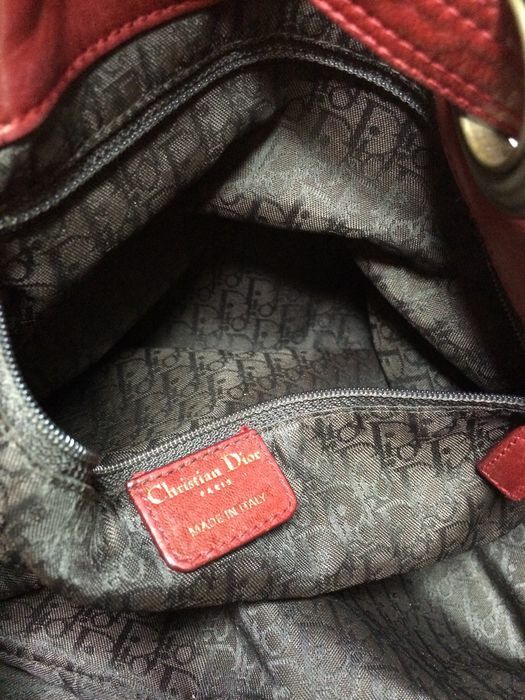 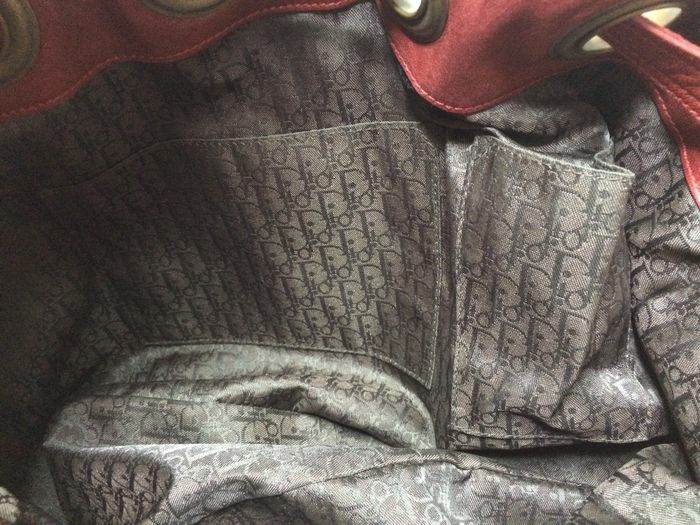 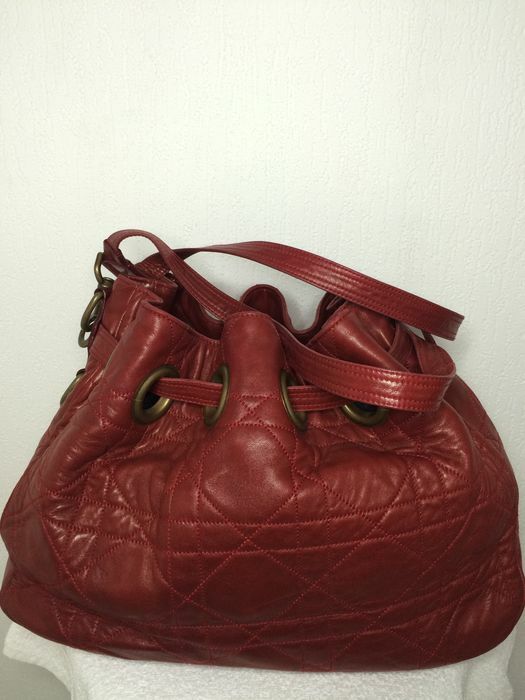 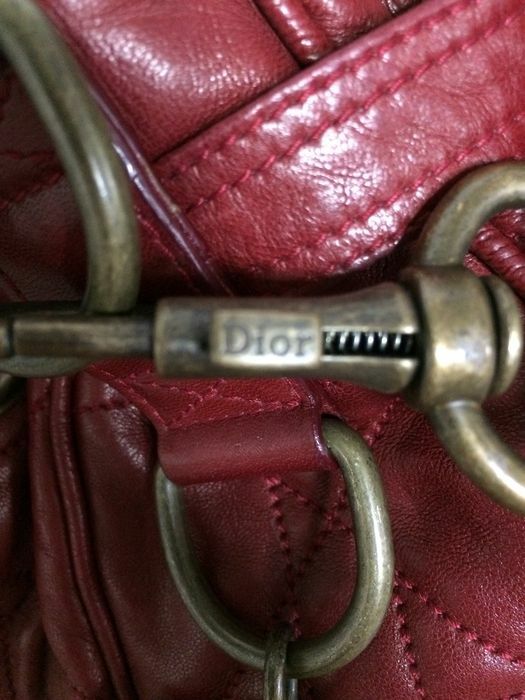 Gorgeous Christian Dior Cannage Drawstring bag in burgundy red. 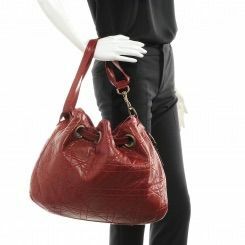 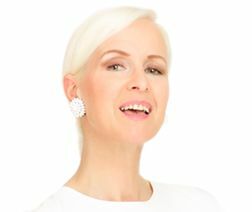 It can be used as a handbag or a shoulder bag. 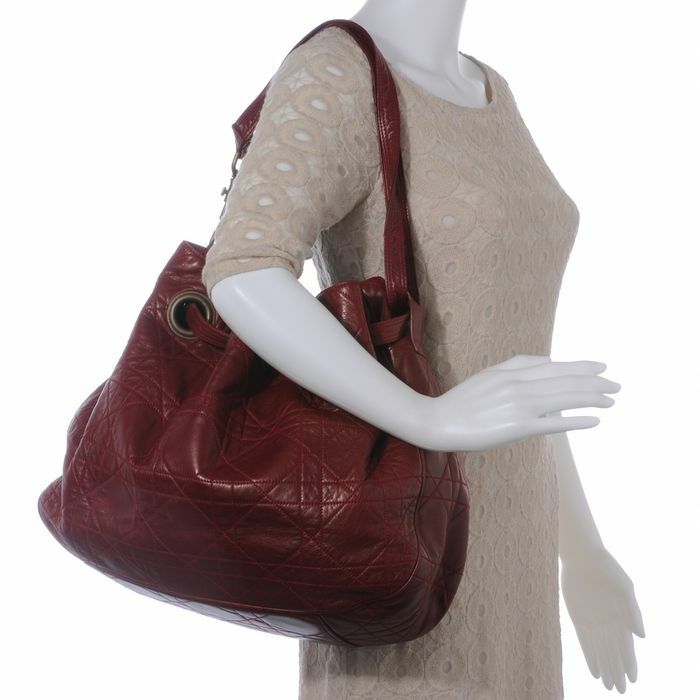 The bag is made of 100% soft lambskin. 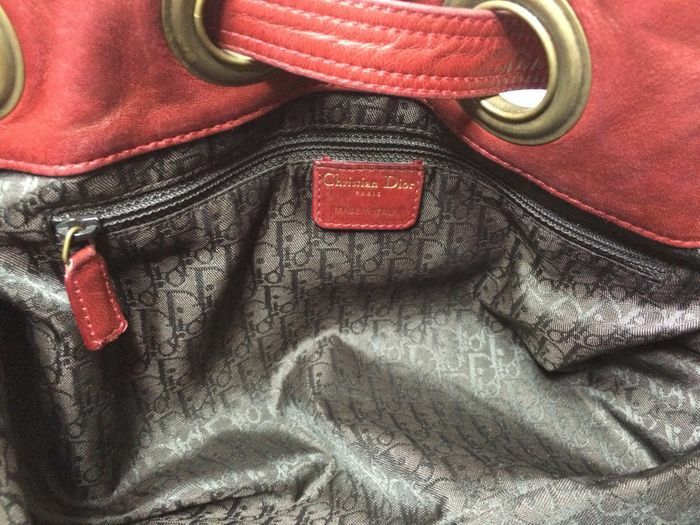 The bag is in good condition and looks like new. 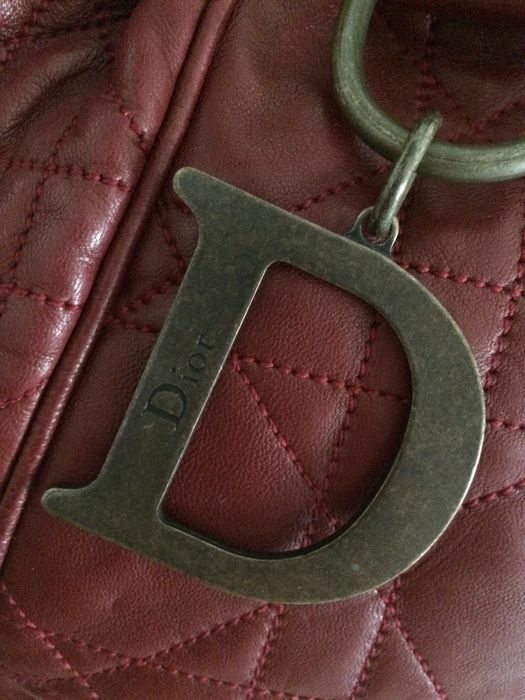 It was NEVER USED in a smoking area. 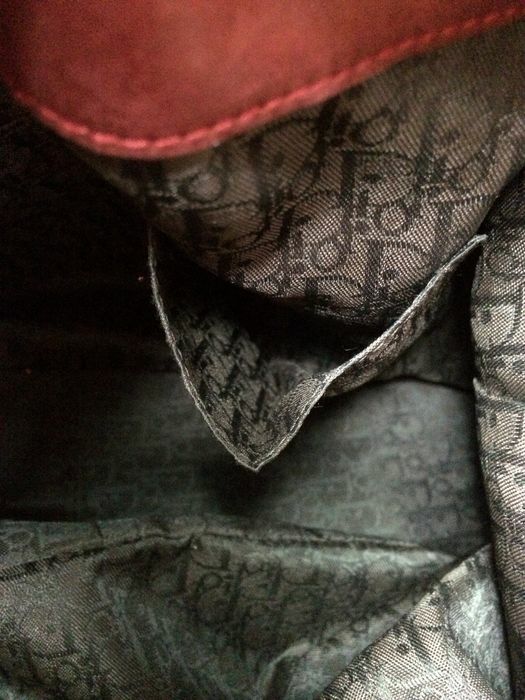 A few small signs of wear on the bottom of the bag. 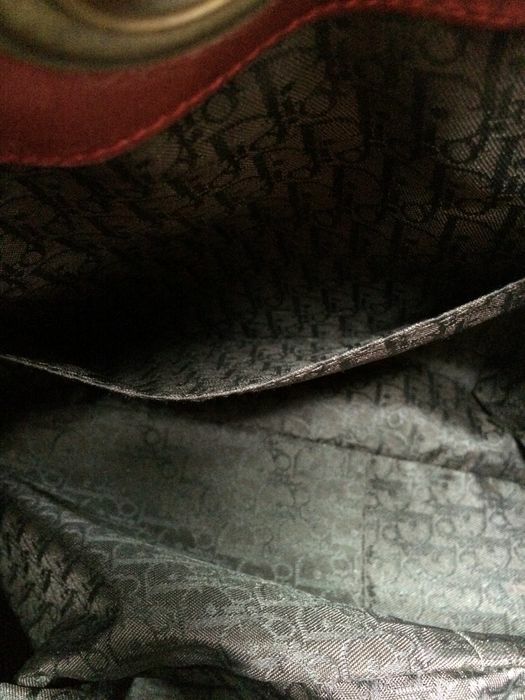 Fortunately those aren't visible when you carry it; see photos 20 and 21. 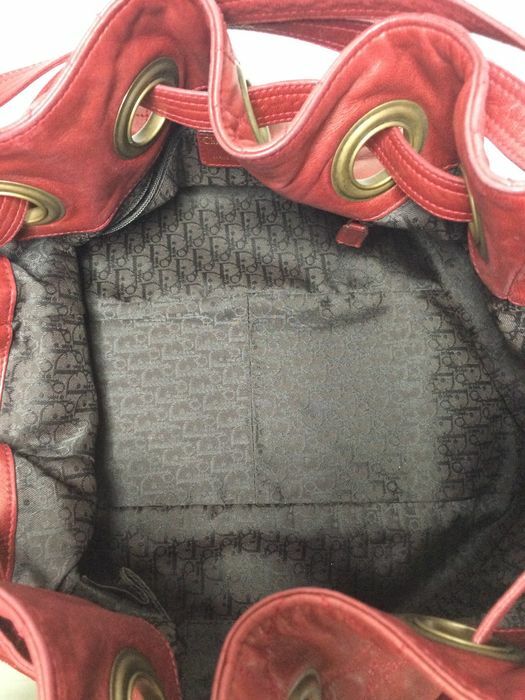 The inside of the bag is clean without signs of wear. 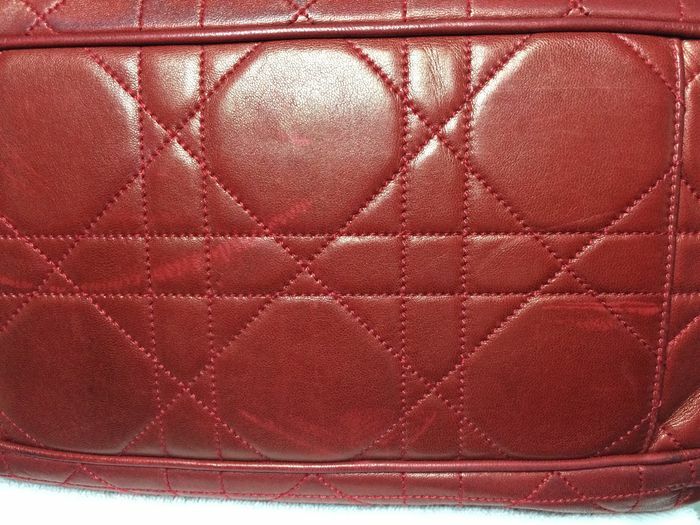 Width: 13 cm at the bottom, tapering to 7 cm at the top. 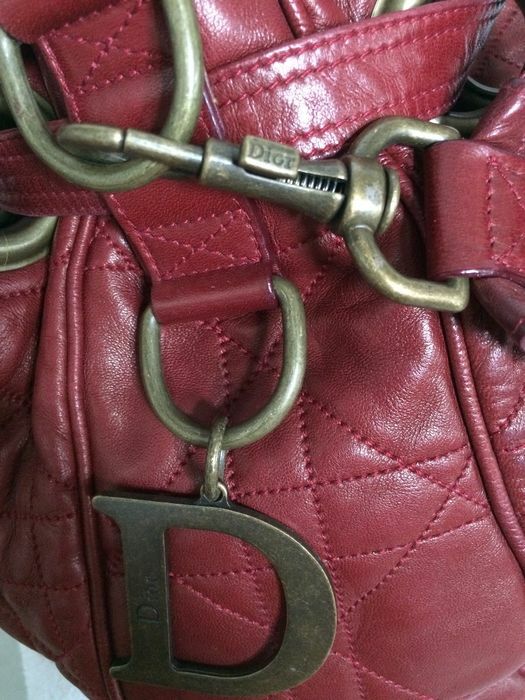 The retail price of this bag is around €2,000. 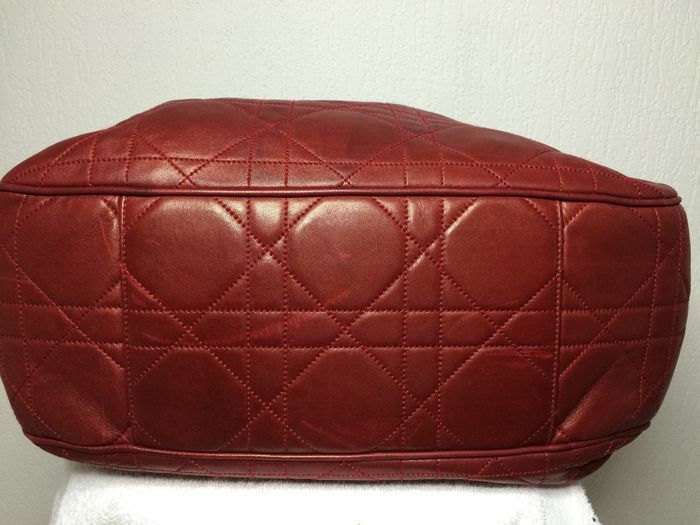 The bag will be carefully packaged and shipped with Track & Trace. 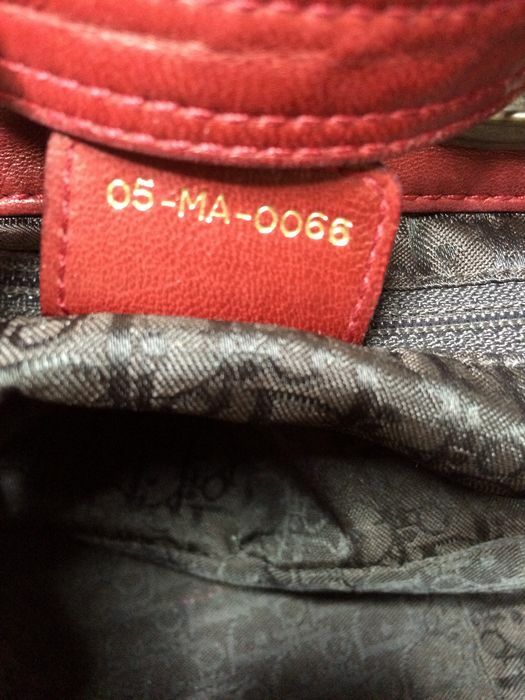 Puedes recoger este lote en persona: Amsterdam (NH), Países Bajos.